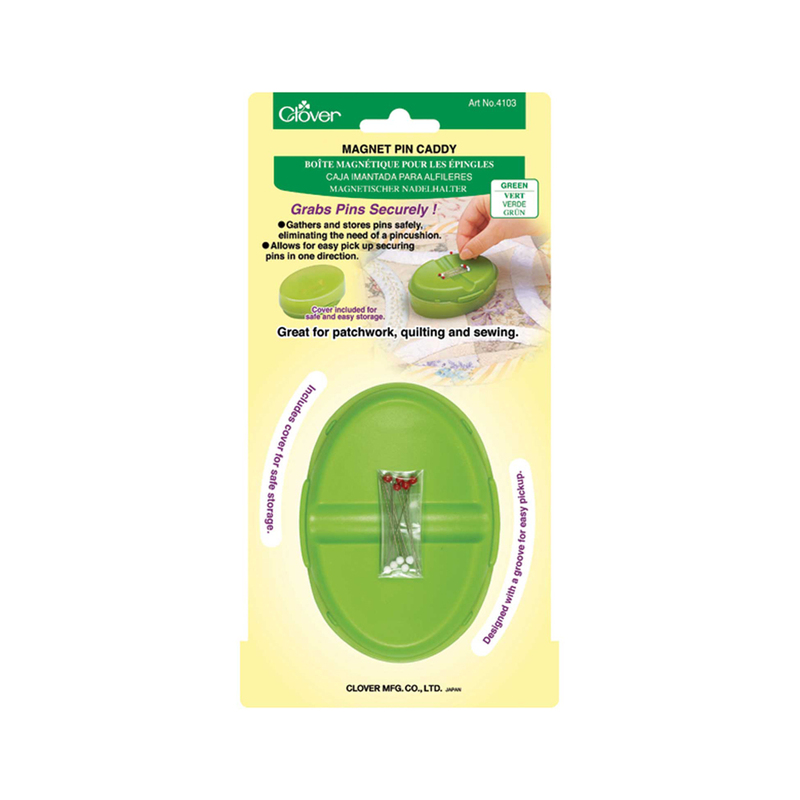 Gathers and stores pins safely, eliminating the need for a pin cushion. Allows for easy pick up and secures pins in one direction! Designed with a groove for easy pick up. Cover included for safe and easy storage.